The Picerne Group has demonstrated a consistent ability to predict and take advantage of market opportunities. Ken Picerne grew up in a family-owned real estate investment business, Picerne Real Estate Group, based in Rhode Island. As COO, Mr. Picerne spent a decade leading a major expansion of Picerne Real Estate Group into the sun belt states, and was responsible for the development of over 12,000 multifamily units. Today, Picerne Real Estate Group is one of the largest family-owned multifamily developers and owners in the U.S., with more than 45,000 multifamily units. In 1988, Mr. Picerne left his family business and founded The Picerne Group to invest in the California multifamily market. In the late 1980s, The Picerne Group developed apartment communities with joint venture partners who contributed land at a nominal basis. This structure kept The Picerne Group’s land costs low and allowed The Picerne Group and its joint venture partners to prosper during the early 1990s recession, when its competitors floundered. In the early 1990s, Mr. Picerne read the changing market and successfully moved the company out of development and into acquisitions. When the market corrected in 1991/1992, The Picerne Group was one of the first buyers of assets being liquidated by the U.S. Government/Resolution Trust Corporation during the savings and loan crisis. 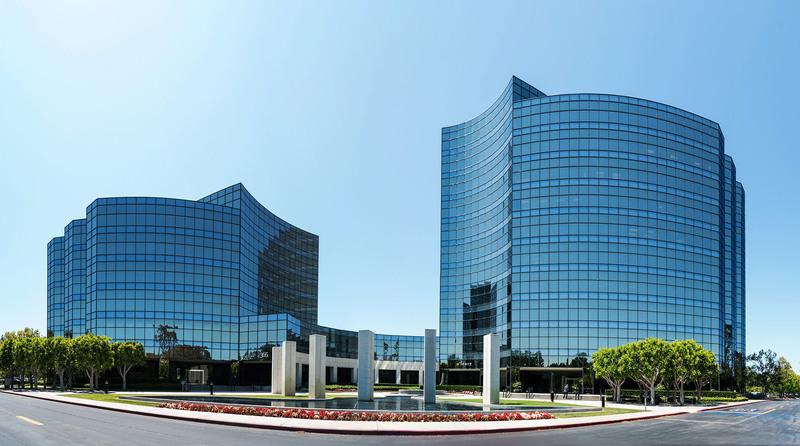 From 1992 to 1998, The Picerne Group focused its acquisitions on the hard hit Southern California market, and accumulated over 5,000 multifamily units, as well as raw land parcels that were re-entitled for multifamily development. Many of these investments were cleverly capitalized through partnerships with local Redevelopment Agencies. The Picerne Group paused investing in 1998, when the U.S. apartment market had corrected back to the high water mark that had been achieved in the late 1980s, and investment margins thus became unattractive to The Picerne Group. The Picerne Group liquidated nearly all of the assets it had acquired during this investment cycle, at significant profit, during the 2005-2007 market bubble. Although The Picerne Group had paused investing in U.S. apartments due to deteriorating fundamentals, in 1998 The Picerne Group was approached by a Japanese bank with which The Picerne Group had developed a close relationship through its U.S. investment activities earlier in the decade. This bank had been asked by the Japanese government to take the lead in developing a program for the Japanese banks to dispose of their non-performing loans. Because of the trusting relationship that had developed between The Picerne Group and this bank, The Picerne Group was asked to participate in the program that the bank developed. Over the next few years, The Picerne Group became one of the largest buyers of portfolios of Japanese non-performing loans. The Picerne Group bought portfolios having a nominal value of several billion dollars from various Japanese banks and financial institutions. These loans were secured by various types of real estate assets located in Japan, Canada, Europe and the U.S.. The Picerne Group liquidated the vast majority of these assets by 2005/2006, realizing exceptional profits. In 2008, because The Picerne Group believed the margins in the non-performing loan portfolio market had deteriorated, The Picerne Group again adjusted its investment focus. Turning its focus back to the U.S., The Picerne Group began to purchase notes secured by Class A apartments. The Picerne Group made its first purchase in the 3rd quarter of 2009. Over the ensuing 18 months, The Picerne Group invested several hundred million dollars in real estate secured notes purchased on a direct basis from major financial institutions. During this period, The Picerne Group was the largest single asset Class A apartment note buyer in the western U.S. Opportunities to access existing Class A apartments at attractive margins through note purchases became rare in the middle of 2011, due to a recovering market. At the same time, The Picerne Group identified the beginning of a multifamily development cycle for Class A properties in The Picerne Group’s core markets of Southern California, Denver and Las Vegas. The Picerne Group also identified a significant competitive advantage: the ability to finance unentitled land. As a result, The Picerne Group shifted to its current strategic plan of land acquisition, entitlement and apartment development, at above market returns.